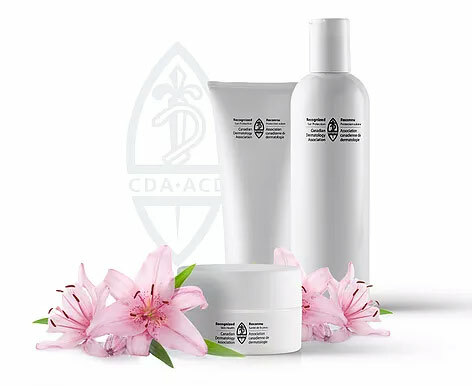 We recognize skin care products that are fragrance free or unscented and non-comedogenic have low potential for irritation and do not contain the most common allergens. HOW DO WE GET THE LATEST INFORMATION? Our screening program is based on the most recent dermatological science from academics and industry leaders around the globe. Our Expert Advisory Board consists of 6 dermatologists from across Canada. HOW OFTEN DO WE REVIEW THE PROGRAM CRITERIA? We update the list of ingredients to be excluded from products yearly as new skin health studies are published regularly. More and more Canadians are finding that skin care products irritate them or cause allergic reactions. And searching for answers online isn’t always helpful—there’s an incredible amount of contradictory information and it’s hard to separate fact from opinion. Our dermatologists are committed to working with manufacturers to screen ingredients and recognize healthy skin products. If you see our logo, you can trust that it’s fragrance-free or unscented, has low potential for irritation and does not contain the most common allergens. See our logo? Then you can trust that product is unscented or fragrance-free, has low potential for irritation and does not contain the most common allergens. What's in a healthy skin product? You put products on your skin every day. Do you know whether they are healthy?